The Jakarta Marathon is one of the seven Special Interest programs sport and recreation tourism which was founded by Mr. Joko Widodo (former Governor of Jakarta Province period 2012-2014) and Mr. Sapta Nirwandar (former Vice Minister of the Ministry of Tourism and Creative Economy of The Republic of Indonesia period 2009-2014), to attract global tourists’ interest to visit Jakarta. Our hope is that the city of Jakarta will be acknowledged as the major sport tourism destination in the world and to become one of the six major cities for the World Marathon Majors event, and creating Jakarta to be a world class city globally. The sites of historical heritage combined with the grandeur of metropolitan skyscrapers of Jakarta will be the major features of the running track. Since its first inception, the participants had then rapidly risen. This is certainly a positive signal for us. Thanks to the spirit to promote sports tourism capital city of this international standard. 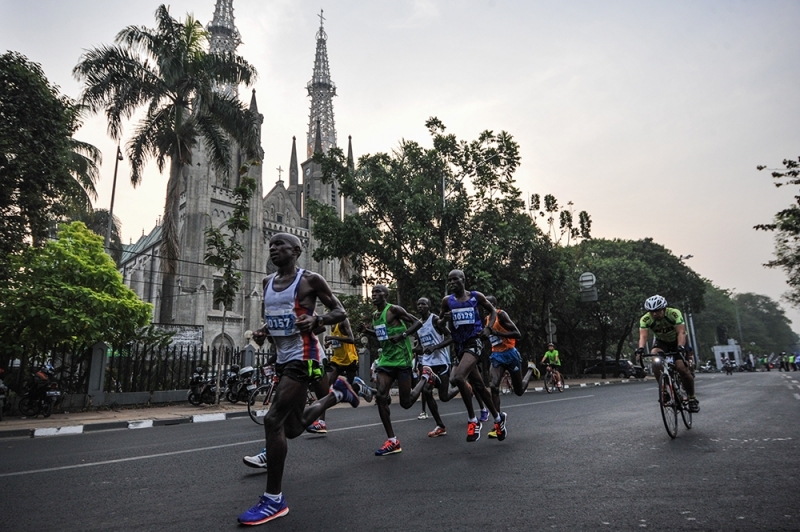 The first Jakarta Marathon was held on October 27, 2013 and participated by more than ten thousand runners from all over the world, including world elite runners from Kenya, Ethiopia, the United Kingdom, Japan, France, and Australia. 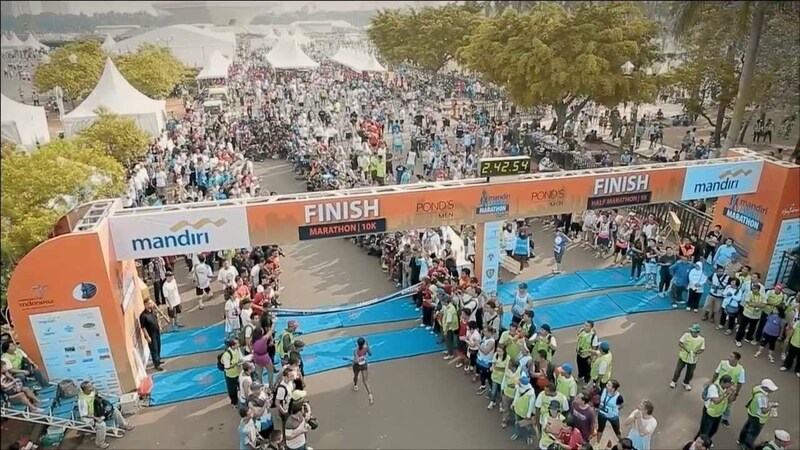 Runners from 50 countries hit the streets to run in one of the five race categories: Marathon, Half-Marathon, 10K, 5K and Maratoonz (sprint for the children) that have its start & finish point at National Monument (MONAS). 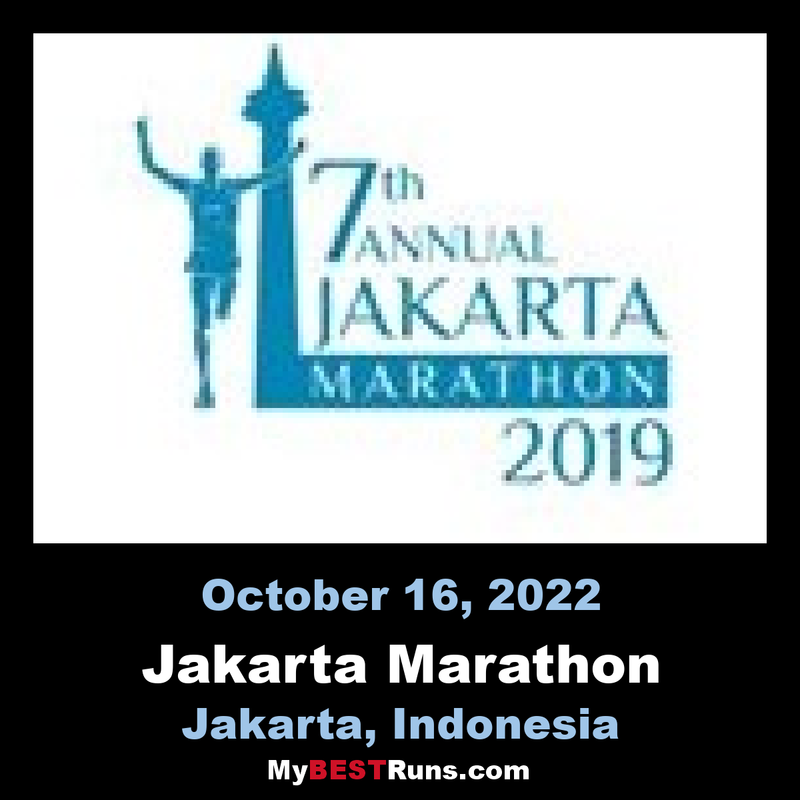 Jakarta Marathon has received certification from the International Association of Athletics Federations (IAAF) and Association of International Marathons and Distance Races (AIMS) with elevation level 0 m/km which is valid for 5 years from 2013. The first Jakarta Marathon offered a total prize of IDR 2.5 billion ($178,750 US) presented by Dept. of Sport and Youth Jakarta City Government. The course covers Jakarta’s city landmarks, such as Old Town/Kota Tua, Pasar Baru, Jakarta Cathedral Church, Istiqlal Mosque, Bundaran HI, Pancoran Statue, and GBK Stadium. The event also be enlivened with Festival and live music performances where by at several spots in the course, runners and spectators would be pampered with entertainment stages presenting lively Indonesian traditional arts and culture performances and also festive and splendid contemporary pop arts.